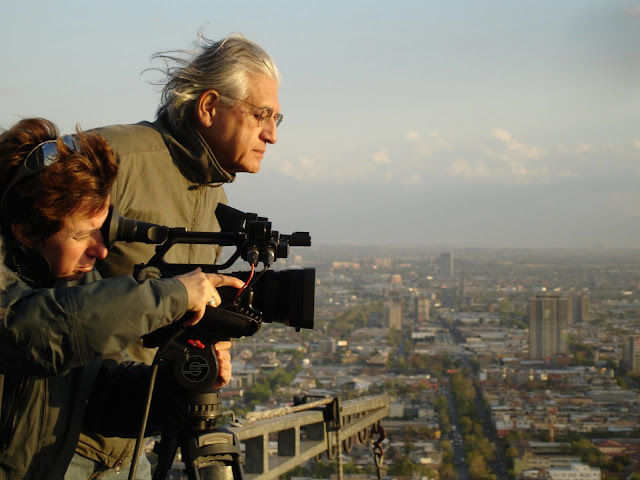 Master Chilean documentarian Patricio Guzmán (pictured) released a public letter today addressed to the executive director of TVN (Televisión Nacional de Chile), a state-owned Chilean TV station, speaking out against the distorted broadcasting of his internationally critically acclaimed documentary Nostalgia de la luz / Nostalgia for the Light. The filmmaker claims in his letter to TVN's Mauro Valdés that the film was severely re-edited and cut down during its broadcast last Sunday, July 28. He proceeds to explain how the film began to air without its opening credits or introduction, leaving many viewers in the dark about what they were watching. The film also began 35 minutes in, with a mess of clips, some which were repeated twice. "Not only is it a violation of moral rights and the authorship of a filmmaker...but this is also a grave act of denial of Chile's history," wrote Guzmán adding that much of the film denounces the crimes of the dictatorship and features many people who were victims of repression. In Nostalgia for the Light (pictured right), Guzmán travels 10,000 feet above sea level to the driest place on earth, the Atacama Desert, where atop the mountains astronomers from all over the world gather to observe the stars. The Atacama is also a place where the harsh heat of the sun keeps human remains intact: those of Pre-Columbian mummies; 19th century explorers and miners; and the remains of political prisoners, “disappeared” by the Chilean army after the military coup of September, 1973. So while astronomers examine the most distant and oldest galaxies, at the foot of the mountains, women, surviving relatives of the disappeared whose bodies were dumped here, search, even after twenty-five years, for the remains of their loved ones, to reclaim their families’ histories. According to the local Chilean press, TVN executive director offered written apologies immediately to Guzmán claiming "technical problems" in the broadcasting but not an act of sabotage. He also mentioned the documentary would be broadcasted once again on August 24. TVN had also recently been involved in another controversy as TropicalFRONT had previously reported, the TV station had pulled from broadcasting Ignacio Agüero's documentary El diario de Agustín / Agustín's Newspaper which focuses on Agustín Edwards, owner of leading Chilean newspaper El Mercurio, and his ties to the Augusto Pinochet dictatorship and its abuse. Click here to read Guzmán's letter (in Spanish).